Wikis don’t have to be ugly, complex and hard to manage. Welcome to the future of the Wiki. 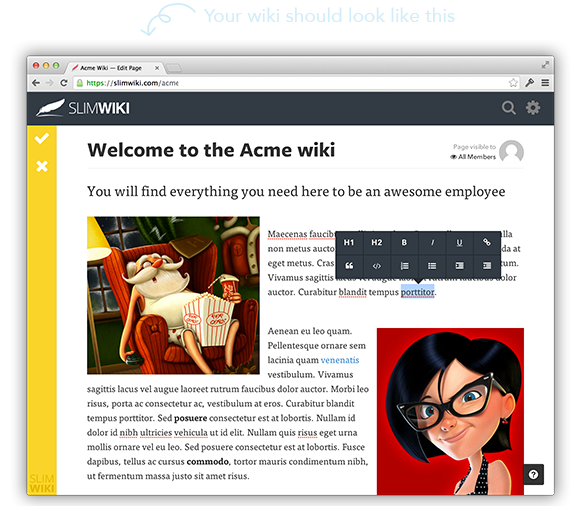 How can SlimWiki help your team? Simple, versatile and powerful features and incredibly low friction content creation mean that your team spend their time focussing on your business. Your data is secure, backed up and exportable at all times.